Foodborne illnesses can be nightmare scenarios for restaurants — bad publicity scares customers away while owners confront a mountain of legal liabilities. Such imposing risks illustrate the value of zealous attention to food safety and outbreak prevention in restaurants, where two-thirds of all U.S. foodborne-illness outbreaks originate. All told, foodborne illnesses sicken one-sixth of the U.S. population in any given year — and 3,000 people die. Total cost in the U.S: $76 billion annually, according to the federal Centers for Disease Control and Prevention (CDC). Avoiding a foodborne-disease outbreak is principally a matter of risk management — reducing the probability of contamination at every point where it’s likely to happen. Furthermore, a documented food-safety program could be a mitigating factor in the size of damages imposed in a court case. 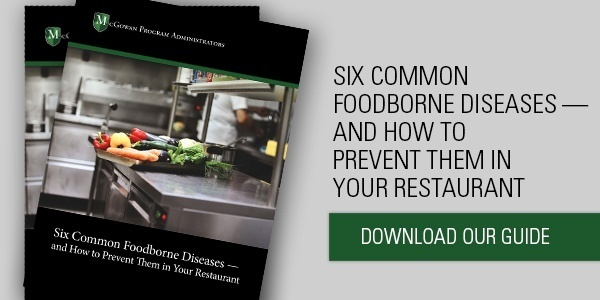 The CDC has an excellent page packed with restaurant-safety resources that gives a big-picture idea of how to reduce the odds of a foodborne-disease outbreak in your restaurant. You can add another layer of protection by having your managers and staff take food-safety certification courses. These courses can do a better job of educating your people because they contain real-world scenarios that explain risks, and they include quizzes and tests that help people retain what they’ve learned. Two sample companies that provide these kinds of training and certifications: ServSafe and Learn2Serve. Also, check with your local or state health department for advisories or guidance on foodborne-illness issues in your region. Cooking foods thoroughly to their recommended internal temperatures usually kills internal microbes. But some foods like oysters and cuts of beef taste best raw or lightly cooked. Some restaurants play it safe and banish these foods from their menus, but that’s not an option if you own a steakhouse or an oyster bar, for example. If you serve at-risk foods, make sure to spell out the risks on the menu. Furthermore, train your wait staff to remind customers of these risks when they’re ordering. Again, having a documented process for these sorts of safety warnings can prove useful in the defense of a lawsuit. Cross-contamination happens when microbes travel from one place to another. It can happen when a cook grilling a cheeseburger handles tainted meat and then touches another ingredient, like lettuce or cheese; or a condiment container, like a ketchup bottle. Tainted meat also can leave germs on knives, plates, cutting boards, and other surfaces, contaminating any clean foods that also touch these surfaces. Segregate meat preparation from other food-prep operations. Designate one area for food storage and don’t allow anything else to be stored there — especially toxic chemicals like cleaning supplies. Keep food a few inches from the wall and about six inches above the floor surface. Put a wrapper or cover on food before you store it. Sanitize cutting boards, food-prep equipment and other surfaces after each use. Don’t let precooked foods touch any raw foods (meats, poultry, seafood, etc.). Also, take care to avoid triggering allergic reactions, many of which can be caused by cross-contamination or cross-contact. Make it easy as is practical for people to clean up regularly. If they have a sink handy, they’re more likely to wash up, studies find. Plastic gloves also can stop the spread of toxins and pathogens. While hand sanitizers are better than nothing, washing with soap and water is considered much more effective. Integrating handwashing into your training can help reinforce proper food-handling practices. Cleaning. Removing the top level of dirt, grease, grime and everything else from a surface. Sanitizing. Using a chemical agent to kill bacteria on surfaces. Usually this means leaving the chemical on the surface for a short time to allow it to effectively eliminate bacteria. Disinfecting. Leaving a chemical treatment on a surface longer — perhaps up to 10 minutes or more — to thoroughly kill off any viruses or other pathogens that remain. 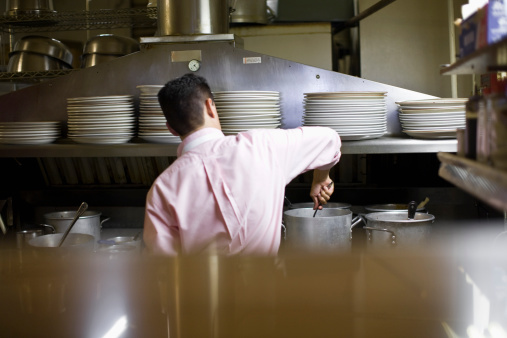 Disinfecting typically applies to healthcare settings but it may be necessary in a restaurant. Sanitizing and disinfecting chemicals have to be used carefully and directions followed closely. Otherwise, you risk the potential of not getting a surface truly clean, which can create a false sense of security. People and food are among nature’s most reliable storehouses of germs. They’re also among the best transmission mechanisms. Indeed, the process of putting dozens of people to work preparing, cooking, and serving food to hundreds of customers introduces a volume of variables that can confound any safety protocol. 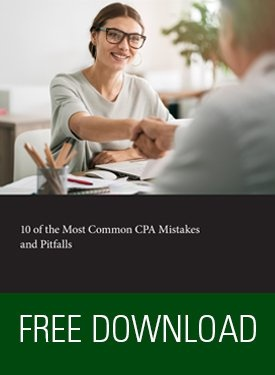 A single slip-up during the lunch hour rush could sicken a dozen people and pose a serious risk to the survival of your business. You might outlast the damage to your reputation if it’s a minor outbreak and everybody’s back to normal in a few days. But some germs cause much more serious damage. If that happens to you, restaurant liability insurance may be your only protection in a costly court battle. 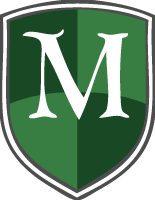 McGowan Program Administrators writes policies specifically for the risks of owning a restaurant. Talk to us about coverage for yours.